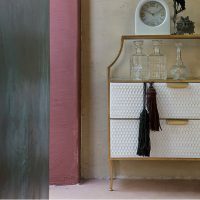 With January in full swing we are all prone to making plans for the year to come; whether that’s this years’ holiday destination, career change or even a home make-over. 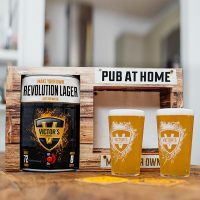 One thing’s for sure, in the next few weeks there will be a surge of DIY adverts gracing your TV with the hope of inspiring you into a home or garden renovation. But as we know our wonderfully creative readers best, we are going to bring you a blog that is reminiscent of your character, personality and tastes. Put down the plain-jane decking, forget the rusty tools, throw that old BBQ away and let Cuckooland inspire you into creating the quirkiest outdoor space possible. No doubt your garden has been battered by gale force winds, hail, snow and persistent rain which all leads to a slippery playground of danger in your back garden. 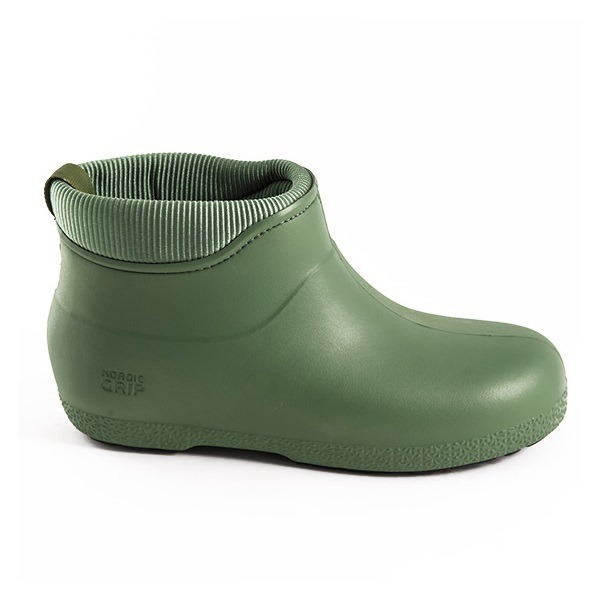 So be sure to kit yourself out with a pair of Nordic Grip Ankle Wellington Boots with slip resistant ‘IceLock’ Technology. We imagine these one-of-a-kind wellies where designed especially for the changing weather of good old Blighty. Not only are they comfortable and warm (thanks to soft thermal lining) they will also keep your feet dry in the wettest weather conditions. 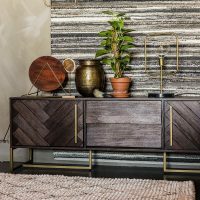 We’re all for the quirky and outrageous statements of individual style; why have a boring garden when you can have something fun, colourful and all-round unique? 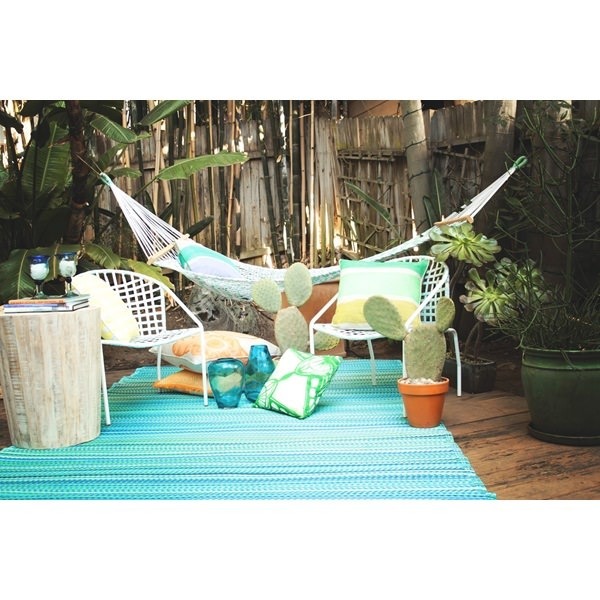 An outdoor rug is just the addition you need to add a bit of a wow factor to your outdoor space. Available in a range of colours and sizes, these durable outdoor rugs are made from recycled materials and can be used in conservatories, on decking or even just on your lawn. 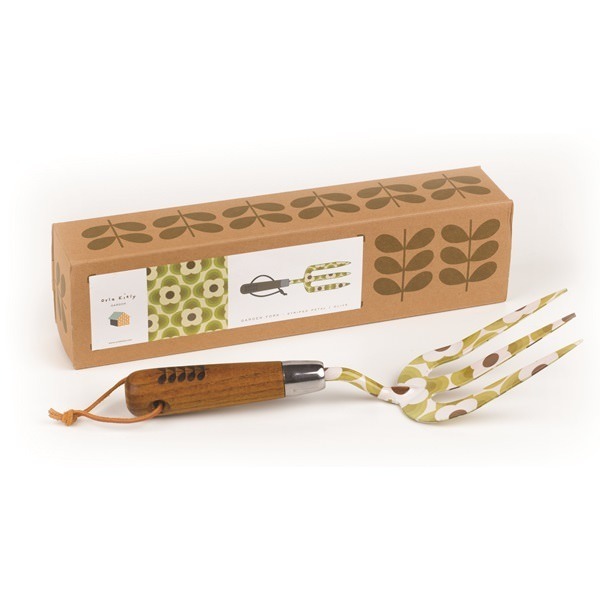 They also roll up in an eco-friendly carry bag to be taken and used as a beach mat or picnic rug. The saying goes, ‘a mans home is his castle’. If that’s true then a man needs a flag or maybe something a bit more quirky like a weathervane in the shape of a golfer to truly make him feel at home! Yes dear readers, turn your home into a quirky castle with the help of a weathervane. 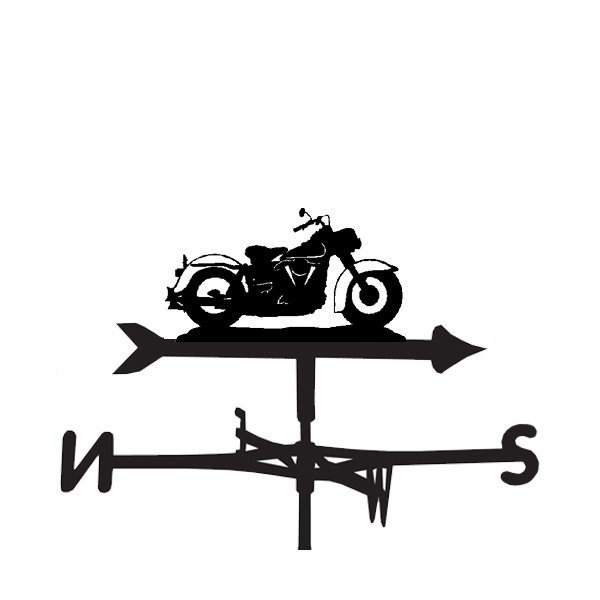 Weathervanes don’t just come in the usual arrow and cockerel design anymore, oh no, weathervanes come in amazing designs, such as a Shipahoy Sailing Boat, Harley Davidson Bike or even a Ballet Dancer in full Pirouette. We can even make a bespoke windvane just for you in your very own design! 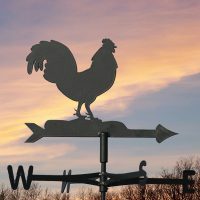 However, you choose to define yourself, be sure to define your home or garden with a weathervane this year. With a garden make-over thoughts inevitably turn to Spring/Summer ‘get-togethers’ in the garden. A British BBQ is as traditional as queuing or a Sunday lunch or queuing for a Sunday lunch. So this year, make sure you invest in a BBQ built to last. Gone are the days when you would rely on the rust bucket formally known as the outdoor BBQ, which has sat in the corner of your garden for aeons. Let us introduce you to the latest and greatest BBQ, The Award Winning Lotus Grill. 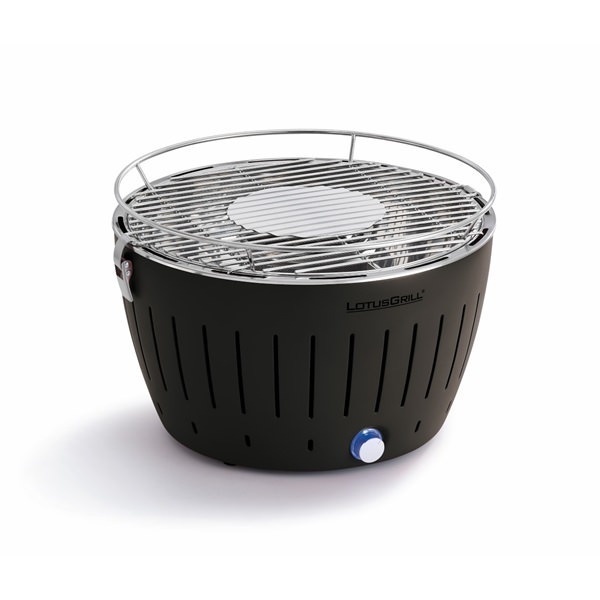 The Lotus Grill is simply the best portable smokeless BBQ of its kind. It has a battery-powered built in fan which constantly supplies the charcoal with air and cooks smoke free, meaning the Lotus Grill Charcoal BBQ is ready to cook in 3-4 minutes. Plus, as the Lotus Grill comes in a carry case and can be stored away neatly, it means this nifty little BBQ will never rust or need to be replaced! Alas, the humble BBQ isn’t the only dining option for the great outdoors. To capture the true essence of a quirky outdoor hangout, why not kit your garden out with its very own authentic outdoor pizza oven! The Uuni Pizza Oven brings real outdoor, woodfired pizza direct to your garden. 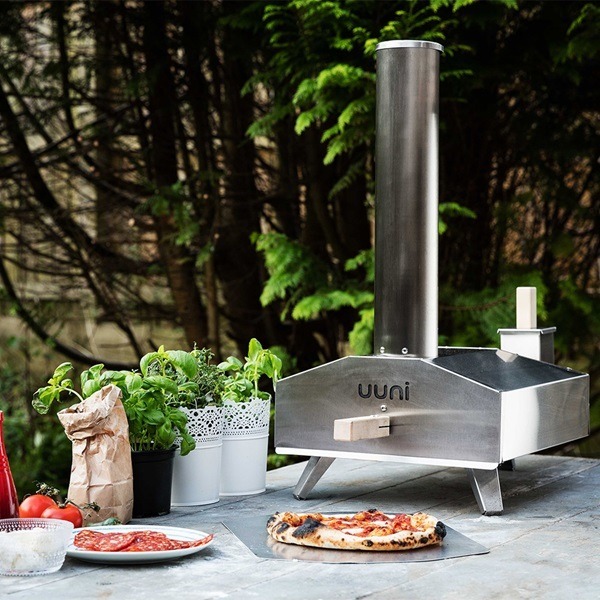 With its revolutionary design, the Uuni will have you cooking up delicious pizza in no time. So our flower bed is tended too, our decking is decent and our BBQ is neatly stored away; there’s only one thing left to consider to create the perfect quirky garden this Spring and that’s ‘where we’re all going to sit’. Why not invest in something so cool it verges on art?! 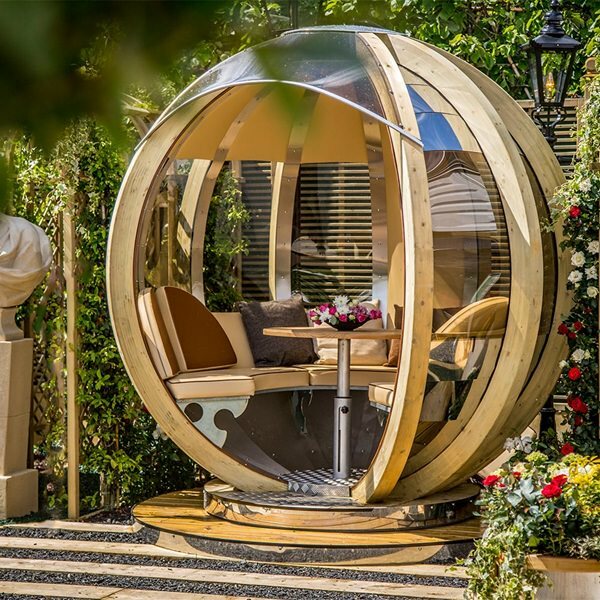 The Luxury Rotating Lounger Garden Pod is the stuff of designer dreams. This Pod is super easy-peasy to maintain. Simply remove the cushions when not in use, the durable, all-weather frame is designed to withstand any weather. We love to hear from our fans so why not leave a comment with your quirky and unique garden ideas. Our garden specialist team is always on standby to answer any questions you may have – simply call us on +44 (0) 1305 231231 Mon-Fri 9-6pm or email customerservice@cuckooland.com and our super friendly team will reply immediately. Previous PostCuckooland is Proud to Introduce Our Very Own Kids Bed Designs! Next PostColour the floor with Fab Hab Rugs!